After the beautiful weather we've had over the past few weeks it was a bit of a shock to the system to have frosty mornings and freezing cold days return this far into the year. I was expecting to be posting lots of insect life, but the only insect I saw on my photo shoot this week was this pollen addicted bee. 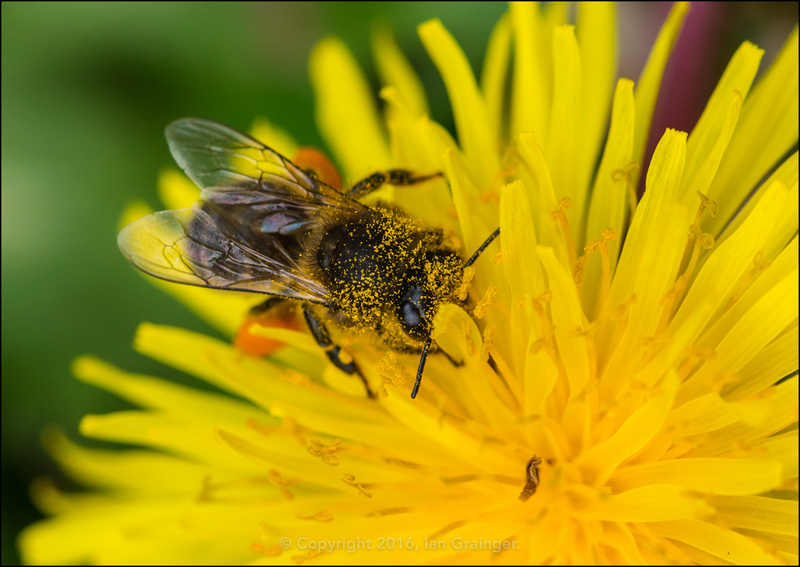 He was climbing all over this Dandelion (Taraxacum) and collecting every last grain of pollen to take back home. 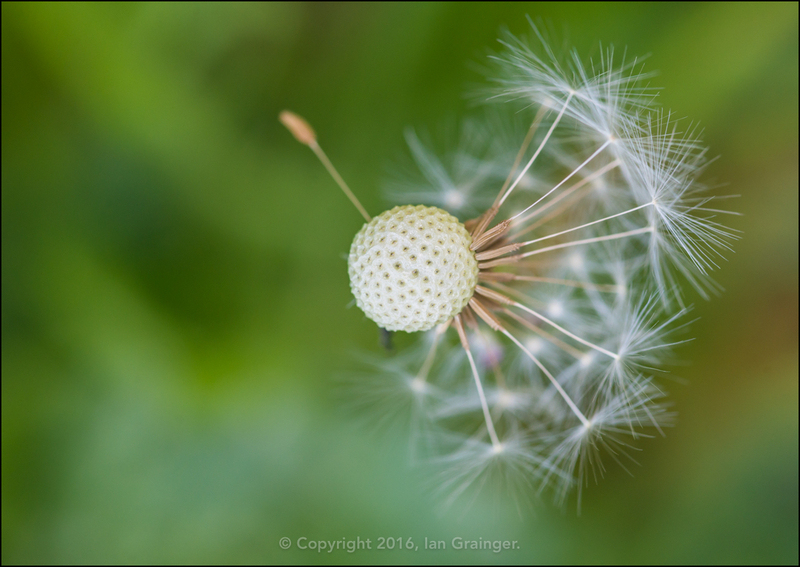 I know most gardeners don't like Dandelions in the lawn, but at this time of year, with not many other flowers about, they are the main food source for many of our insects. So, if you're a gardener, and you have the urge to pull out your flowering dandelions, can I urge you to leave them in place until they've gone to seed? Bees are important to us and we really should be looking after them. It's in ours and the bees best interests - and they're not exactly ugly flowers, are they? 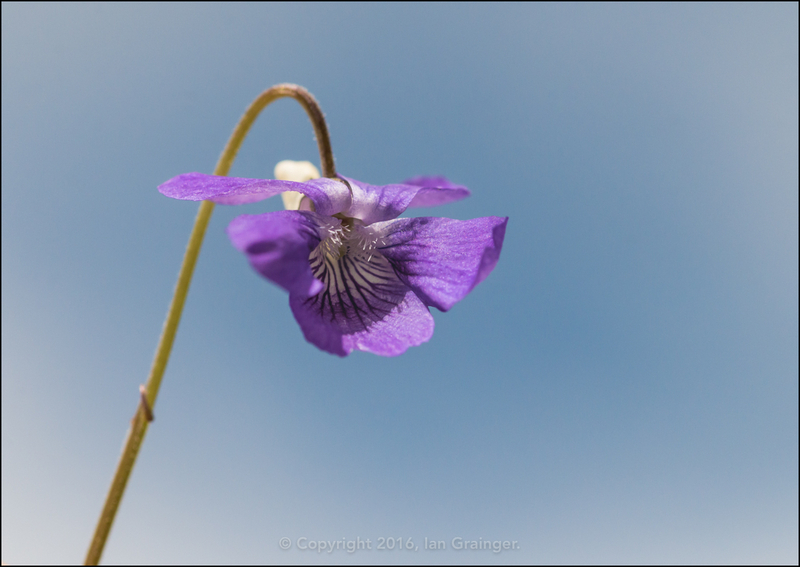 As well as Dandelions in the lawn, these little Dog Violets (Viola riviniana) are also putting in their first appearance of the year. 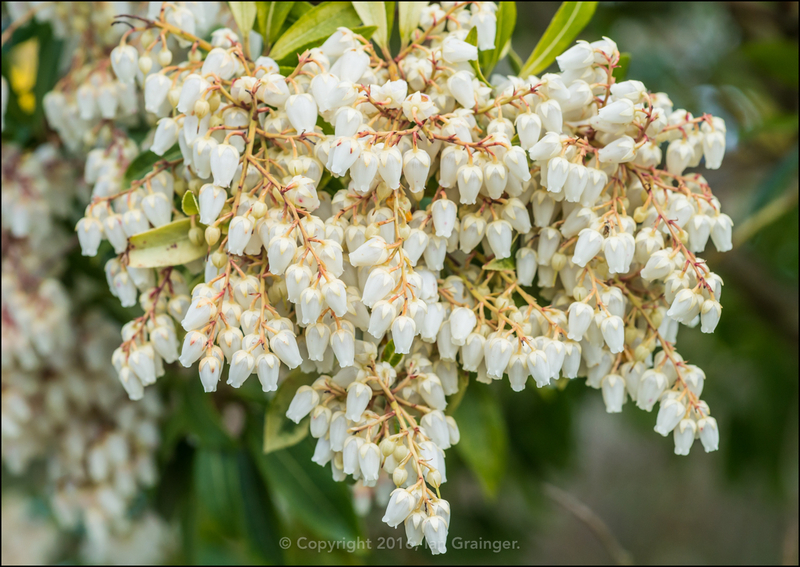 Last week I showed you images of the Amalanchier tree in my dad's back garden. 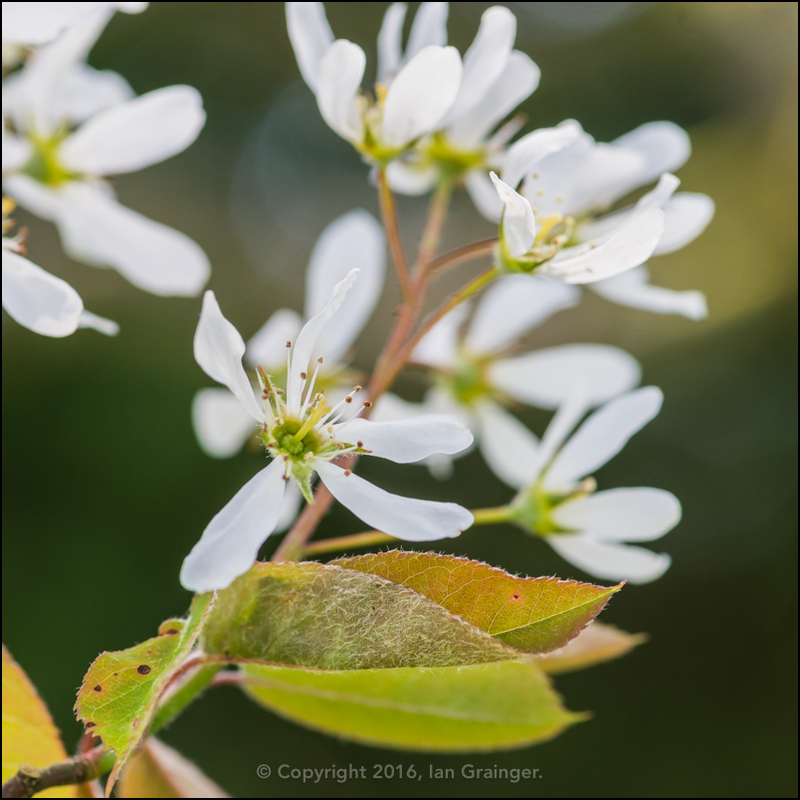 I mentioned that the blossom didn't last long, but there was still some hanging on this week, so I grabbed another handful of images. ...until now! Just look at those leaves. Red hot!! 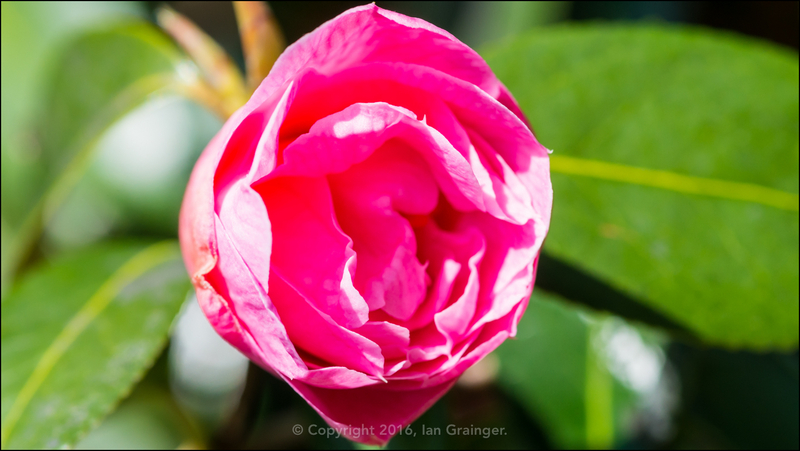 This will probably be the last shot of the remarkable Camellia bush that has been flowering since early in January this year. I've been sharing at least one image a week since the original Early Camellia article I posted on the 14th January. It will definitely be missed, but will hopefully return, and will be just as prolific next year. As always, I was accompanied around the garden by the cat that has adopted dad as his keeper. 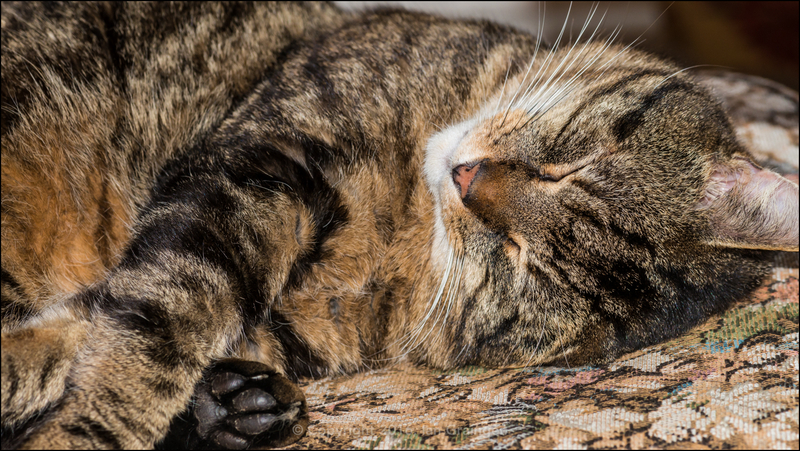 I must have worn him out because as soon as we got indoors he was zonked out on his favourite chair. Back in my garden, the Tulips (Tulipia) are still going strongly. This one is a fringed variety called Gold Dust, I think, and was showing off in the morning sun. 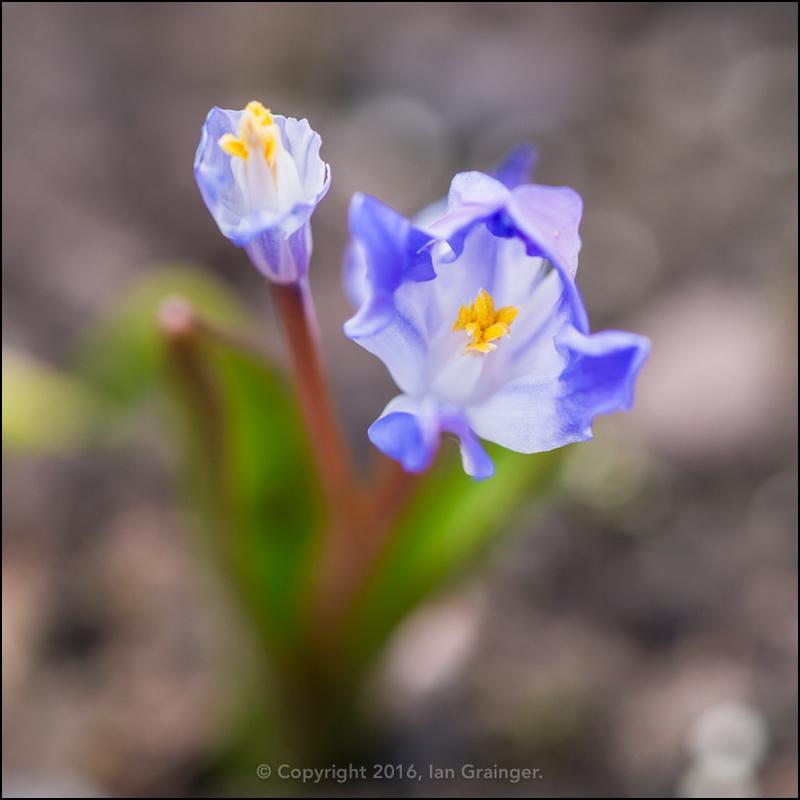 I must have planted at least a hundred of these little Glory of the Snow (Chionodoxa) bulbs last year, but only a handful have surfaced. 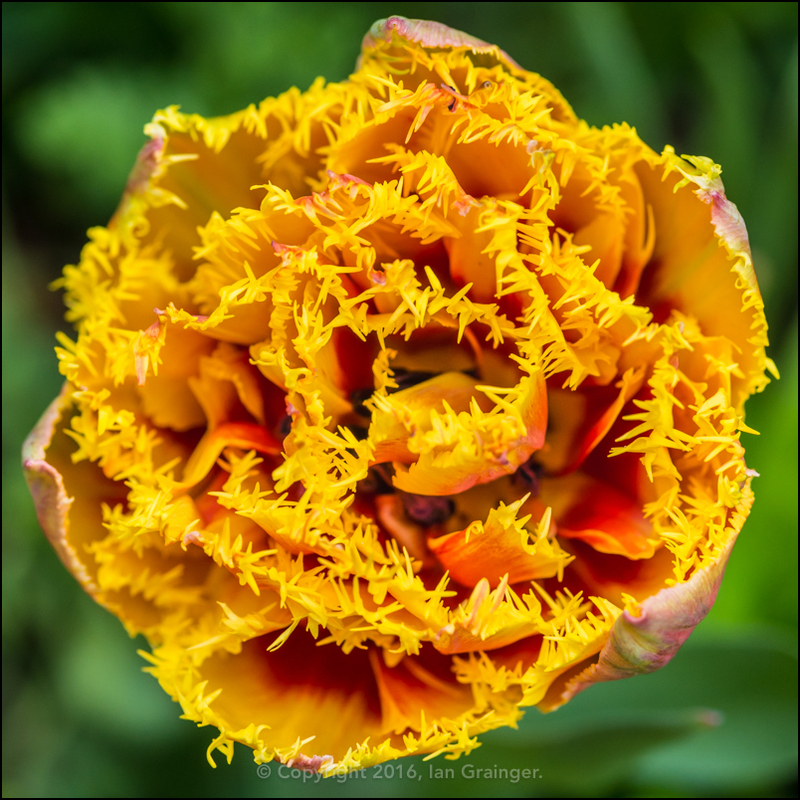 Popular thinking says that it hasn't been cold enough to active the bulbs, so with the recent drop in temperatures, I may be seeing lots of these in the coming weeks. I will keep my fingers crossed! 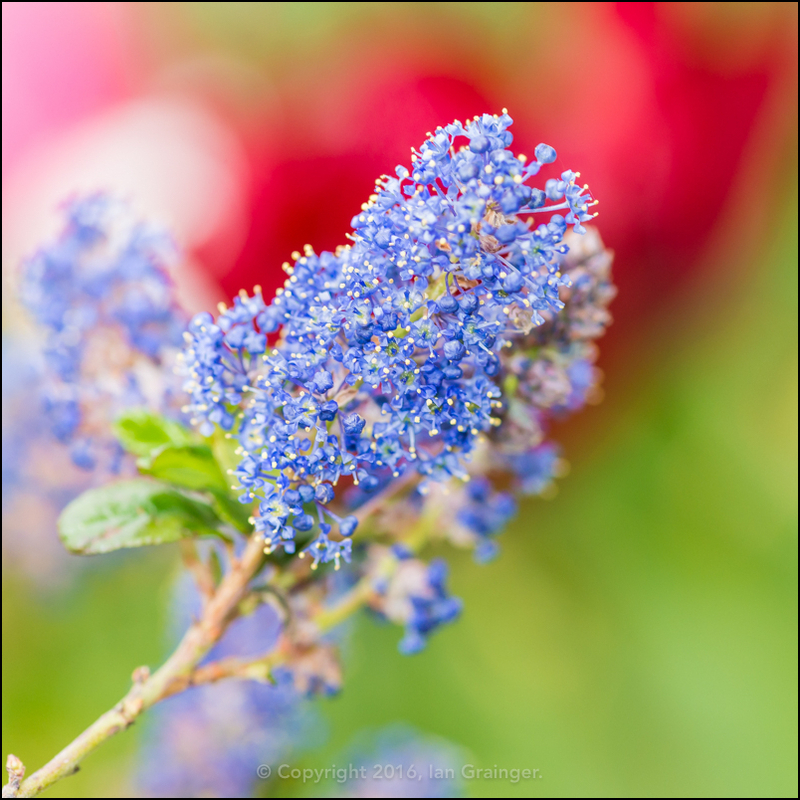 Another new flower came to my garden this week in the form of my Californian Lilac (Ceanothus) bush. It will now be covered in blue blossom until the early summer, so expect to see more images of it in the coming weeks. More blue flowers doing particularly well this year are my Grape Hyacinths (Muscari). 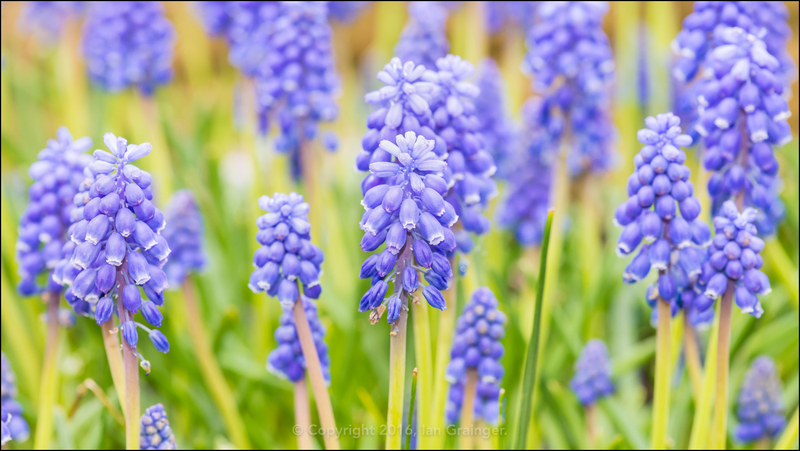 These are the common form Muscari armeniacum, but common or not, they are still very attractive when seen planted in large groups. 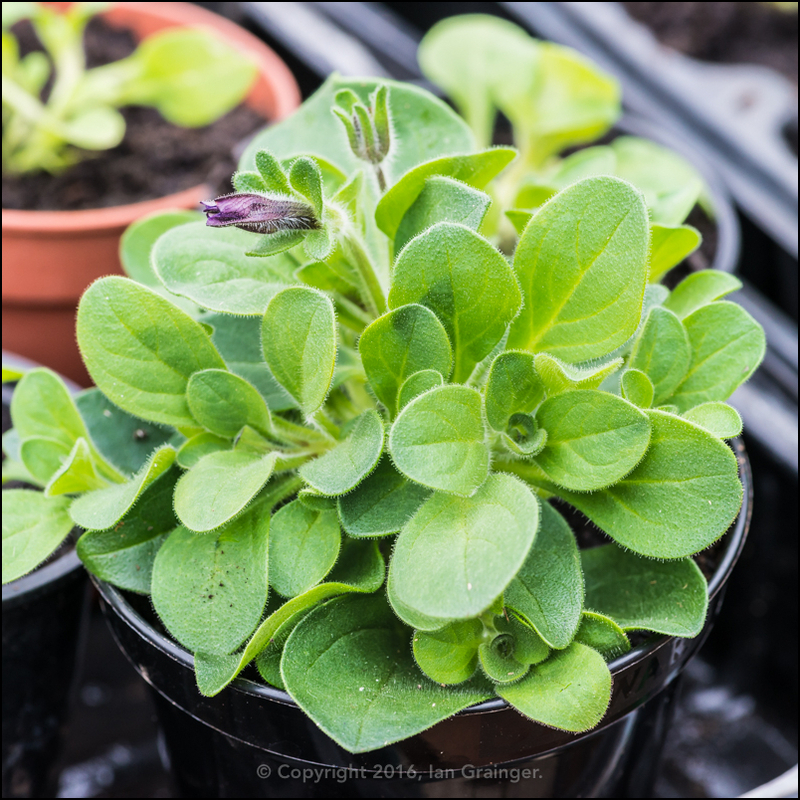 In my grow house, the little Petunia plug plants that I wrote about a few weeks ago have almost reached maturity. This one is even developing flower buds. 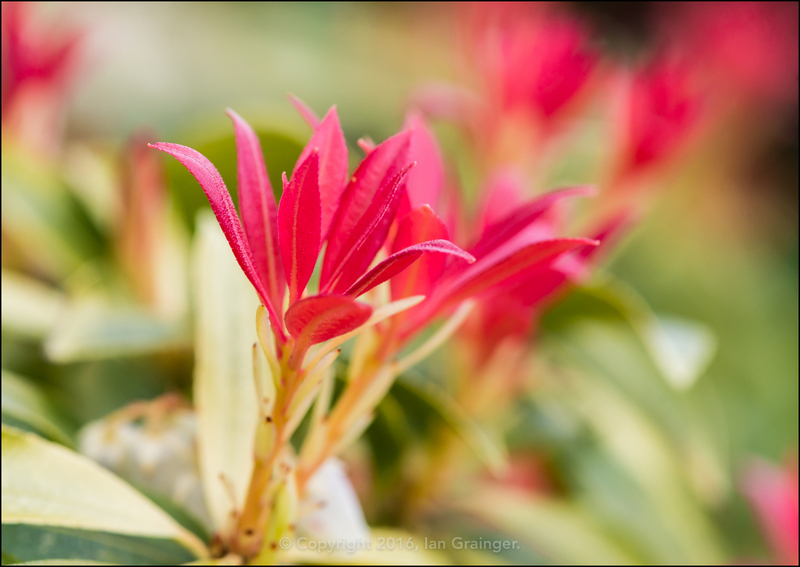 In fact, if it hadn't been so cold, it would have already been planted outside. Finally, it would have been my mum's birthday last week, and dad bought a big bunch of one of her favourite flowers. 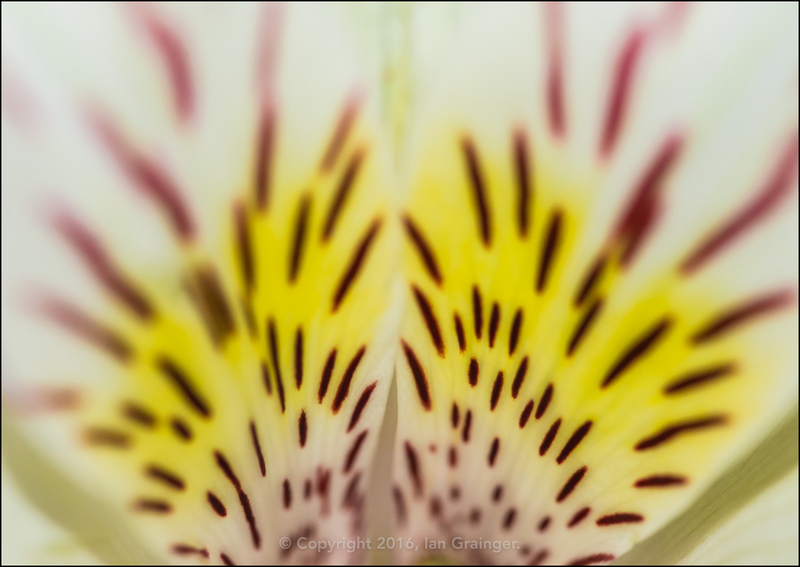 This is an abstract shot of one of the Peruvian Lilies (Alstroemeria) he purchased.